The costs associated with any food item on your menu makes up your direct costs. This includes any fees that occur from purchasing ingredients, food waste from spilling, overcooking or spoiling. These costs should run about 33% of the menu price, on average. The indirect cost consists of the costs that do not include the actual ingredients of a dish, but the aspects of the restaurant that add perceived value or quality. For example, indirect costs will indisputably change depending on if your restaurant is fine dining versus fast service. Overhead expenses in fine dining restaurants such as décor, product presentation, marketing, and amenities, can create high perceived value. 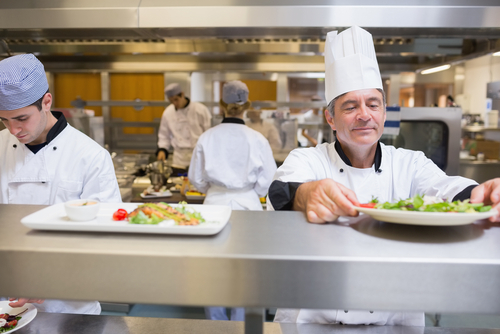 Preparation and labor is considered an indirect cost, for example, a dish that takes a longer time to prepare would be priced higher than a dish that has very little prep time. Prices on ingredients can fluctuate daily. For example, natural disasters can wipe out crops, which would cause supply to drop and demand to increase. In this case you can either raise your menu prices or work with a seasonal menu that allows more flexibility for buying crops in season and keeping supply costs down. Checking out a competing restaurant can help you set your prices by finding out what they offer and their price points. By checking the prices online or going in to see their portion sizes, you can gauge the market rate for certain dishes. If diners are willing to pay $10 for a burger at your competitor’s restaurant, they’ll be willing to do the same at your restaurant. Before raising your menu prices, always consider whether you can cut the cost of the dish by using a less expensive vendor, substituting similar but more affordable ingredients, or decreasing the portion size. Make sure you track how menu price changes impact your sales before making your next set of changes. To learn more useful tips about managing your restaurant, follow SinglePlatform on Facebook, Twitter, and Instagram.